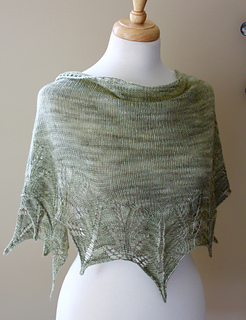 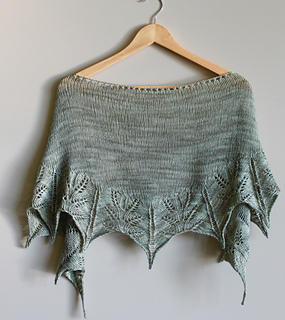 This pattern uses one skein of Zen Yarn Garden Serenity Silk Single and the colour shown here is Frosted Kiwi. 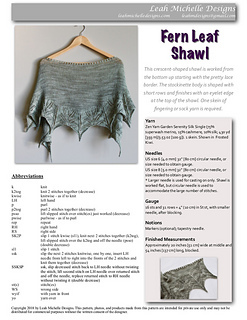 Pattern includes list of abbreviations, diagram, and the lace stitch is both charted and written. 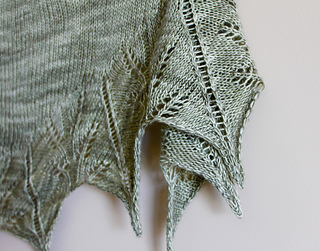 Finished measurements: Approximately 20 inches (51 cm) wide at middle and 54 inches (137 cm) long, blocked. 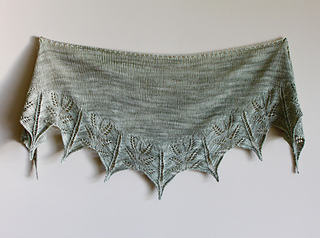 Skills required: knitting lace, working short rows, blocking lace. 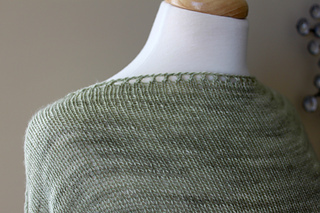 Stitches used: k, p, k2tog, p2tog, SK2P, ssk, SSKSP, yo.